Includes a headset and two wireless controllers. Requires a workaround to play games that are designed for the Oculus Rift. See Revive. Allows the support of stereoscopic 3D. Uses inside-out tracking for room-scale motion tracking and tracking of controllers. 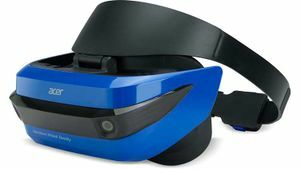 The Windows Mixed Reality Motion Controllers come with each headset, and are manufactured by each headset manufacturer independently as to Microsoft's exact hardware design and spec. this causes some controllers are higher quality than other controllers, depending on who manufactured them. 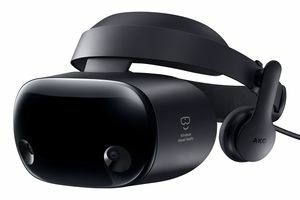 the Samsung HMD Odyssey controllers are said to be the best quality. Each controller features a trigger, touchpad, analogue stick, a menu button and a system button. they are tracked via the headset's inside out positional tracking cameras. 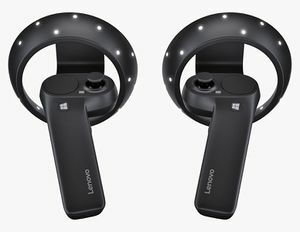 When the controllers leave the headset's positional camera's FOV, they are no longer tracked, but do still use gyroscope and accelerometer information to estimate the controller's position. 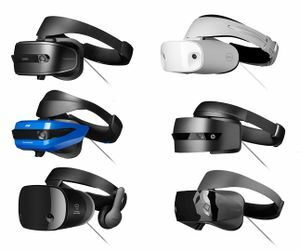 The initial developer and reference design for the Windows Mixed Reality Headsets. 1440 x 1440 per eye. Total resolution of 2880 x 1440. 90 Hz Low Persistence LCD. 95° FOV. Flip up display, 4m cable, fixed IPD and Proximity sensor. 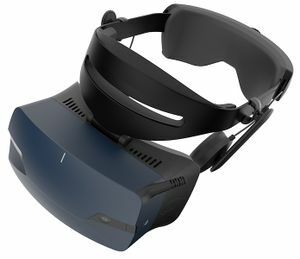 Same as the reference design specs, except had a larger FOV but lacks a proximity sensor. 90 Hz Low Persistence LCD. 110° FOV. Flip up display, 4m cable and fixed IPD. Specs are the same as the Acer reference design. 90 Hz Low Persistence LCD. 100° FOV. 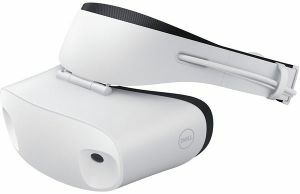 Has the same specs as the Acer reference design, but with a wider FOV. 90 Hz Low Persistence LCD. 105° FOV. 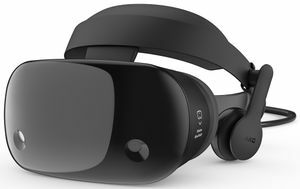 The Samsung HMD Odyssey has upgraded specs from the base reference design, and had additional features like adjustable IPD and integrated headphones ad microphones. 1440 x 1600 per eye. Total resolution of 2880 x 1600. 90 Hz Low Persistence OLED. 110° FOV. Integrated AKG headphones and dual microphone array. Fixed display, 4m cable, adjustable IPD and Proximity sensor. Flip up display, 4m cable, fixed IPD, Gyroscope, Accelerometer, Magnetometer, and Proximity sensor. 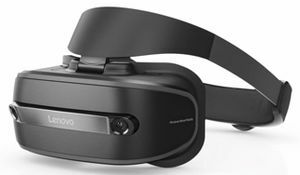 The Samsung HMD Odyssey+ is an updated and refined design over the Samsung HMD Odyssey, adding features such as 'Anti-SDE technology' creating a perceived PPI of 1,233. 4m cable, 60 - 72mm IPD, IPD sensor and Proximity sensor. 1440 x 1400 per eye. Total resolution of 2880 x 1440. 90 Hz Low Persistence OLED. 100° FOV. 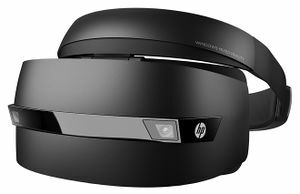 Use the official Windows Mixed Reality for SteamVR app to play SteamVR games, some of which are designed for HTC Vive, on Windows Mixed Reality Headsets. 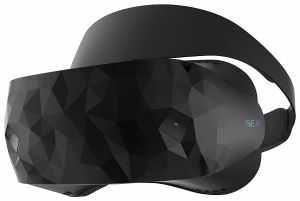 Allows Windows Mixed Reality owners to play Oculus exclusive games via SteamVR. GitHub page with install instructions and downloads are here. This page was last edited on 27 October 2018, at 21:34.